Hereford Quarries is licensed by the environment agency to accept inert waste for processing. For tipping prices please give us a call today to discuss your requirements – The cleaner the material, the less it costs! 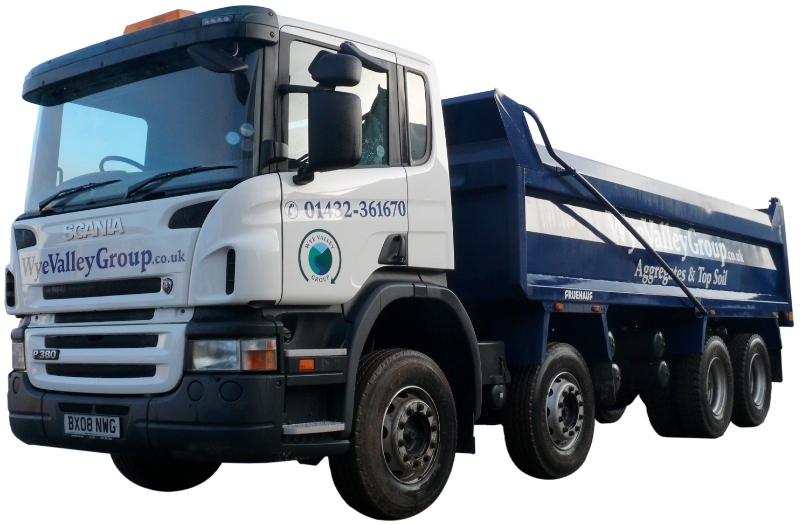 Muck away – We provide a full Cart away service for a range of materials including contaminated material using our own fleet of 8 wheeler tippers and tipper grab lorries. Our weighbridge is open for public weighing at a cost of £15 inc VAT. Are you looking for skip hire, plant hire or demolition contractors? Or perhaps something unique for your home? Our sister companies offer this and much, much more.